The loss of a loved one is an upsetting and complicated time. As we struggle with our loss, we are also confronted with many legal and financial responsibilities as we settle our loved one’s affairs. McRae Capital Management has decades of experience helping families cope with their loss and organizing their affairs through estate planning. Before assets can be distributed to beneficiaries, assets must be gathered and evaluated through the Estate Process. McRae Capital Management can help an executor/executrix open and estate account and transfer assets from a variety of locations into the estate account. McRae Capital Management can calculate the date of death valuation used by estate attorneys and accountants to help value the assets in the estate. 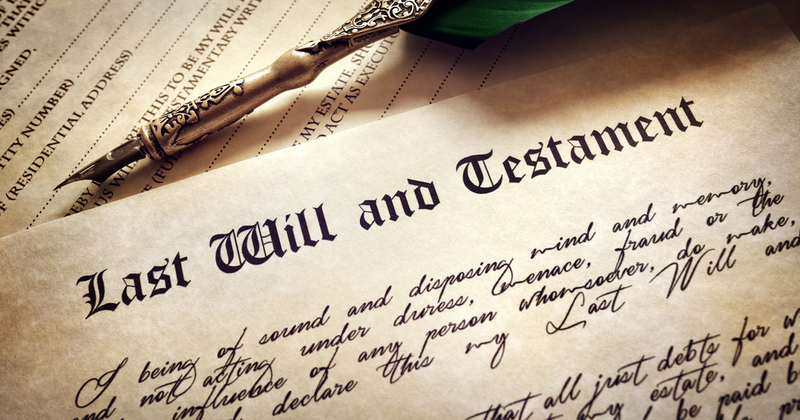 We will assist and executor/executrix transfer assets to any beneficiary, charity, or trust. Accounts that move to another generation, such as a child inheriting a parent’s IRA account, can create a special type of account called a Beneficiary Designated Account. An owner of a BDA account is subject to different withdrawal rules than an a normal IRA account. Advisors at McRae Capital can make sure you understand your options and make the right choice. Some states, like New Jersey, limit the amount of assets that can be transferred out of an estate account until the final tax return is filed and state taxes are paid. Executors must obtain a state tax waiver before they can distribute the remaining funds to the intended beneficiaries. McRae Capital Management will work with your accountants and lawyers to make the process as seamless as possible. Estate Planning helps ease one of the many life stages where smart financial planning can make a difference. If you are interested in reading more, please check out our piece on Divorce and Loss in the Family.